Cut the meat into pieces, about 1″x1″ each. 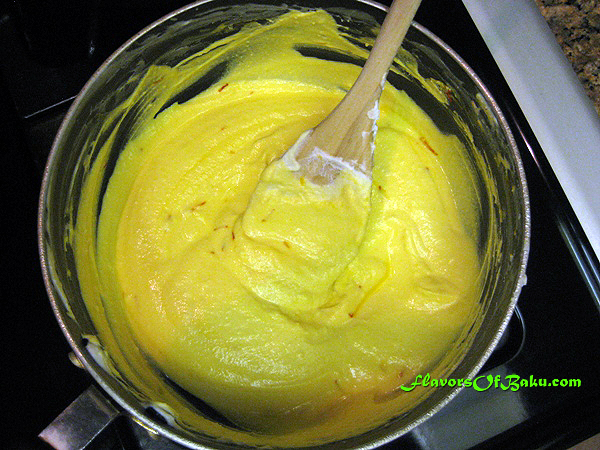 Place two tablespoons of clarified butter in a saucepan and cook the meat over medium-high heat until lightly brown on all sides. Peel the onion, cut it in half, and slice it into thin half-rings. Add onion to the meat and mix them together. 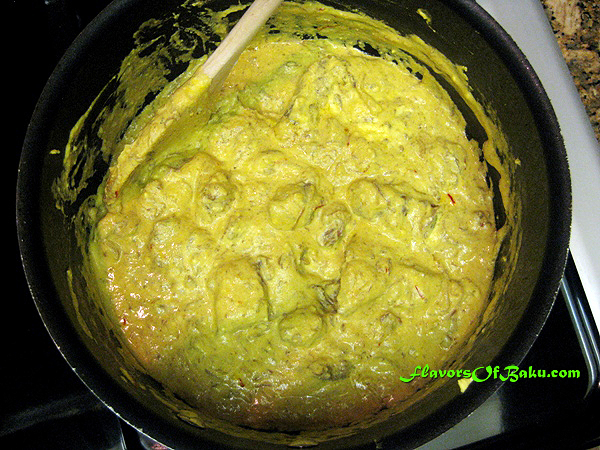 Lower the heat, cover the pan with a lid, and let it simmer over medium-low heat. 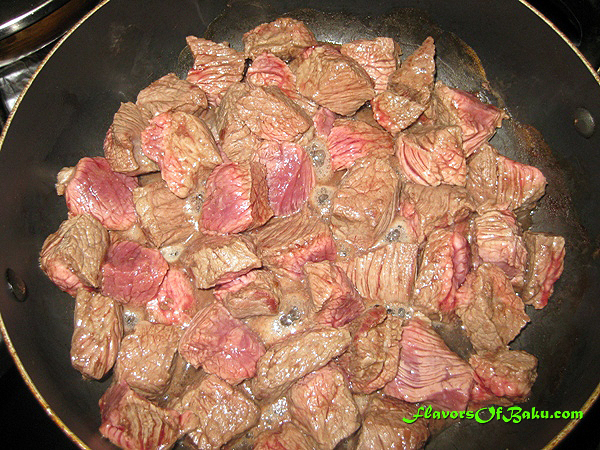 As soon as the meat begins releasing juice, season it with salt and pepper, and continue to simmer until the meat is cooked. If the meat juice evaporates before the meat is cooked, just add some hot water to prevent it from burning. Don’t forget to stir it occasionally. Line a colander with a double layer of cheesecloth (you can use tea towel, or two sheets of strong paper towels) and set it over a large bowl. 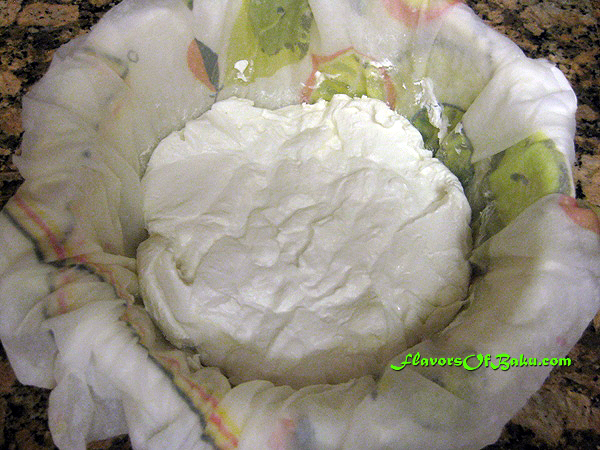 Pour the yogurt into the cloth, fold the ends of the cheesecloth over the yogurt, and let the whey (liquid) drain for about 6 hours (or overnight). The yogurt will become cottage cheese-like in consistency. Then, try to squeeze the cloth to make it as dry as possible and transfer the drained yogurt from the cloth into a saucepan. 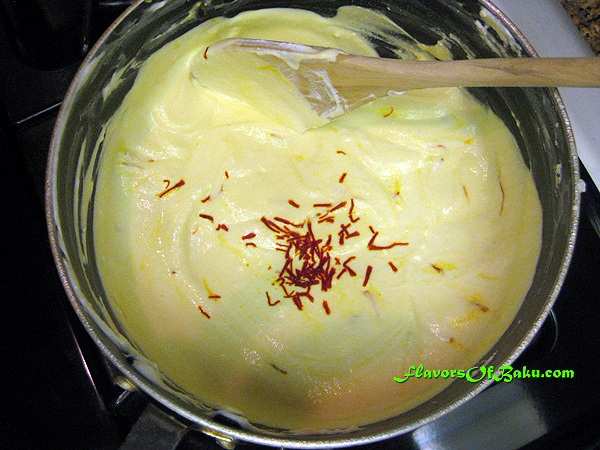 Add saffron threads and stir well. Cook over low heat while constantly stirring, until it begins to steam and bubble. 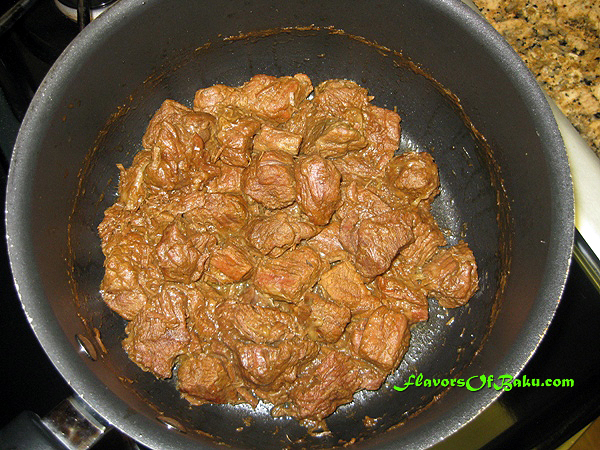 Then, add cooked meat, stir, and simmer over low heat for 15 minutes, stirring occasionally. 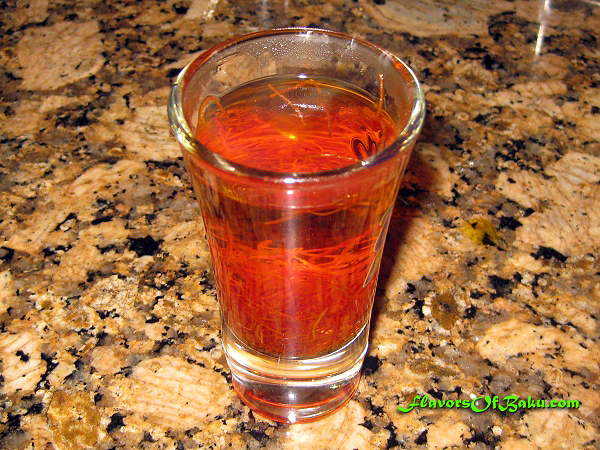 To prepare the infusion, take ½ teaspoon dried saffron threads and toss them into a shot glass. Then, add two tablespoons of boiling water and let it sit. The water will turn an opulent yellow color immediately, deepening over the next few minutes until it becomes a clear, bright orange. 1. 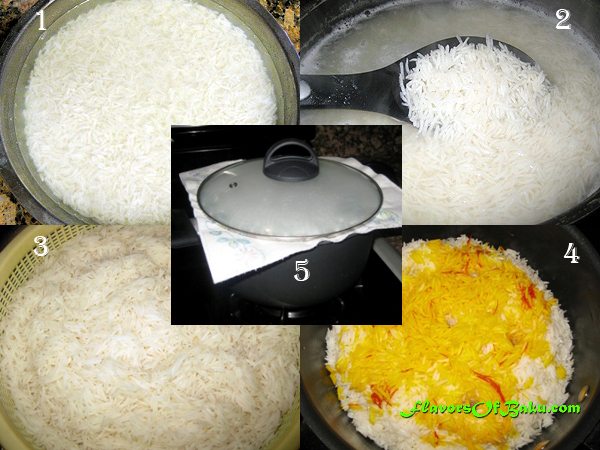 Rinse the rice thoroughly in cold water several times until the water stays clear, to remove excess starch. Then, soak the rice overnight in salty water (or at least for 1 hour in very hot salty water) for a truly great, fluffy, and evenly cooked rice. Before cooking the rice, pour out the water straining the rice with a colander. 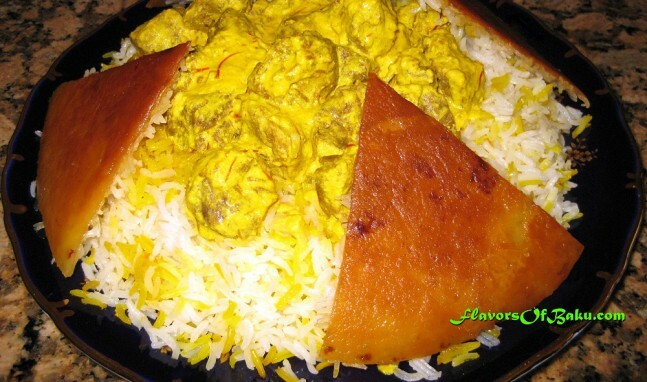 Serve Qatig Plov on a large plate and garnish with crispy Qazmaq.